The ability to develop innovative Business Models (BMs) with high speed and good Return of Investment has become the cornerstone for the competitiveness of many successful businesses operating in many different Business Model Ecosystems (BMES) today. Business Model Innovation (BMI) appears even more important in these days—as well as in the Biogas 2020 BMES—as digitalization affect all areas of innovating and operating businesses. 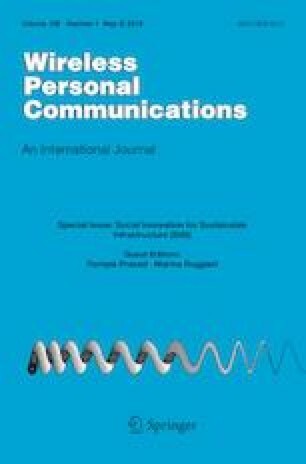 Increased digitalization leads to new ways of working, communicating, cooperating and supporting BMI. Thanks to these new technologies todays businesses are more interconnected in physical, digital and virtual networks. The cooperation between businesses, academia and the use of competences across different domains becomes more important to strengthen BMI and advance BMI. One main challenge however of digitization of BMI is modeling human behavior and cognitive processes in BMI processes into logical expressions that can be digitized and automated. Our state-of-the-art review shows that has been no research in this field related to BMI. The aim is therefore to find a way to value the BMI process and support the BMI process in a more advanced way than previously supported by sensor technologies. This paper report on a first experiment carried out in a cross interdisciplinary CGC research group with 3 different European Biogas Technological BMI (TBMI) challenges. The aim of this first experiment was twofold. (1) To support the test and further development of a conceptual model of a future agile BMI learning environment first presented at the Global Wireless Summit 2017 conference in Cape Town, South Africa. The the aim is later to adapt these results, findings and experiment recommendation to prepare a largescale global experiment in 2019. The used sensor technology backbone was to this experiment made as a special build cloud-based sensing BM and sensing BMI room—imbedded in special built BMI rooms called B-lab/Beecube. The B-labs was embedded with advanced mobile and wireless sensors, both environmental and wearable by the participants. The aim was to test use and utilization of these sensors in BMI to improve observations, improve analyzing abilities and predict in a latter stage human behavior in BMI processes, (2) to support the development of an advanced network based BMI environment and in a latter perspective to support a Multi Business Model Innovation (MBMI) framework embedded with AI, machine learning, AI, Multi Business model archetypes and pattern techniques. In our experiment we were able to use the Biogas 2020 BMES and project as a testbed. We report on our preliminary findings and draw some proposals to how the large scale experiment technical and BMI wise can be adjusted. This work was supported in part by the contract DN 07/22 15.12.2016 for research project: “Self-coordinating and Adaptive Wireless Cyber Physical Systems with Human in the Loop” of the Bulgarian Research Fund of the Ministry of Education and Science and in part by the EU Interreg fund with in the project Biogas 2020 project. Lindgren, P. (2017). The Business Model Ecosystem Journal of Multi Business Model Innovation and Technology, Vol. 4 2, 61–110. https://doi.org/10.13052/jmbmit2245-456x.421 River Publishers. Lindgren, P. (2018). The multi business model innovation approach part 1 ISBN: 9788793609662. https://doi.org/10.13052/rp-9788793609655. Video on the Biogas 2020 experiment. (2018). https://vimeo.com/244817125/e69cde4fd0. Insight personal profile system. (2018). https://www.insights.com/dk/. Taylor, L., Watkins, S. L., Marshall, H., Dascombe, B. J., & Foster, J. (2015). The impact of different environmental conditions on cognitive function: A focused review. Frontiers Physiology, 6, 372. Published online 2016 Jan 6. https://doi.org/10.3389/fphys.2015.00372.